North Wales Roofing Repairs / Builders & Roofers Covering Llandudno, Colwyn Bay, Conwy and the UK. 24 Hour Emergency Call Out Available! Insurance work undertaken, no job too big or small. Good competitive prices! ABRS is owned by Mark and Steve who have worked together for 30 years. Steve is a bricklayer and Mark a roofer by trade. Within that time, they have gained a vast experience and knowledge especially when working across the country building and shop fitting public houses (pubs) and restaurants. We can take on the smallest of jobs from a slate or roof tile repair up to a complete new house build. We have built many extensions over the past few years and offer a free advice service for anyone wanting quotes etc. (See contact us page). We use fully qualified heating engineers and electricians when undertaking any building and renovation work and certificates can be issued on completion. 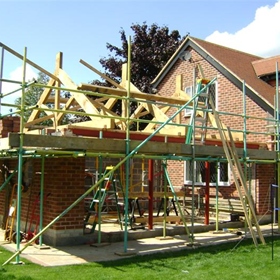 If you're looking for a professional building firm you can trust then you're in the right place! 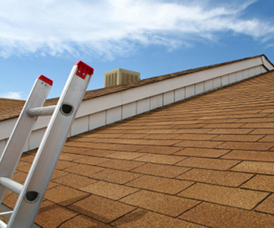 We offer a wide range of services for all your building and roofing repair needs. Why not see for yourself what we can do for you by clicking services from the menu above. We have added a small (but not limited) gallery for you to look at as an example of our work. To see just what we could do for you or your business, please select our work from the menu above. We have public liability insurance so our customers can rest assured they will be protected if anything unfortunate should happen. By the way, we have never claimed in all the years trading to date! We also undertake commercial projects and can offer quotes for shop fittings etc. For further details, why not get in touch. Roof / Guttering repairs or other emergency that can't wait? Whatever the problem, whatever time of day (or night), if you need us we'll be there for you. Maintenance schemes are available on some properties! We offer free routine roof surveys with any work needed being quoted for and agreed with clients before being carried out to a high standard. Affordable Web Site Design and Hosting Solutions by Web Design North Wales.